Please donate to Fockler4SurfCityCouncil2018. Help me put the Town back into Surf City so we can address the concerns of our Youth, public Safety, and create a hi-Tech corridor that will provide jobs and economic growth well into the 21st century. 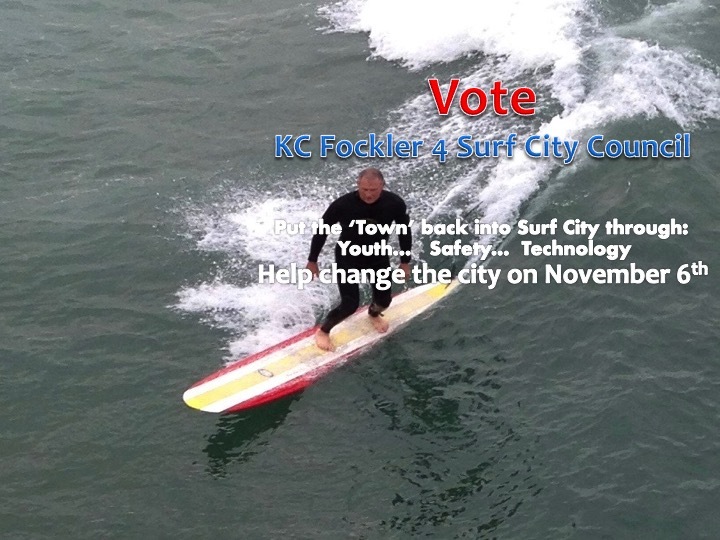 Elect KC Fockler 4 Surf City Council on November 6th! Donations made to any political campaign are not tax deductable. Fockler4SurfCityCouncil2018 is registered with the California FPPC under i.d. number 1404607. Paid for by the Fockler4SurfCityCouncil2018 recipient committee.